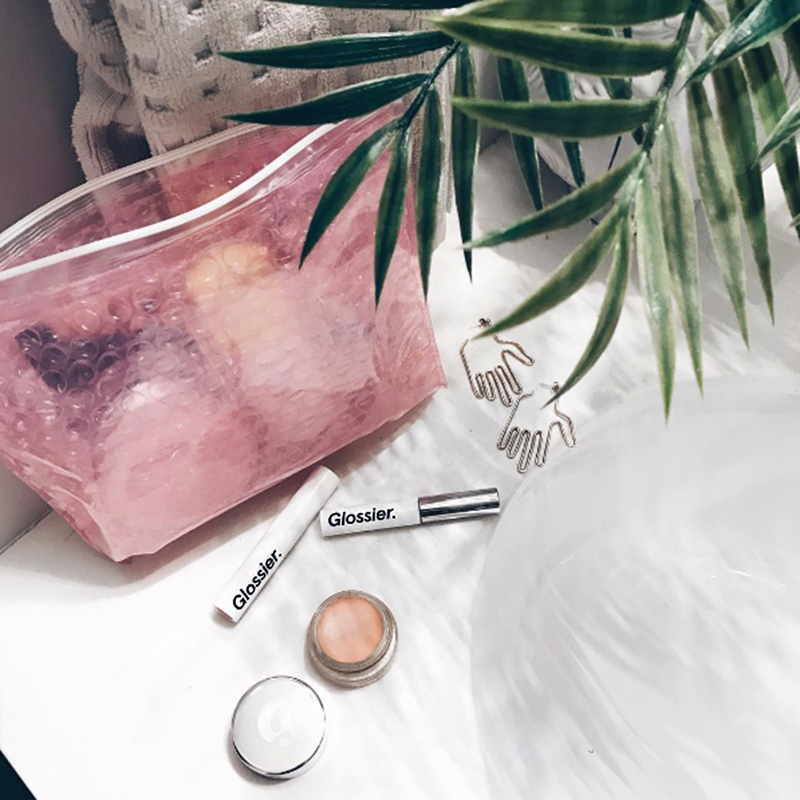 Oh Glossier— why are you so irresistible? Is it your sleek packaging, cool-girl marketing or inspiring backstory (I've lost many an hour googling Emily Weiss, let me tell you) that leaves us all wanting more? Whatever it is, I'm in it deep. And luckily for me, now that they conveniently ship to Canada I don't have to rely on friends travelling to NYC to get my fix. Suffice it to say, I've tried a decent amount of product from them over the years, but there are a couple that I'm now hopelessly devoted to— in other words, my ride-or-dies. If you have a second, I would love to hear about yours, too. 1. Boy Brow // I don't know what it is about this stuff, but I'm seriously addicted. I get that there's a ton of hype around Boy Brow ($20) at the moment, and it can be hard not to get swept up in that sometimes, but it legitimately is a great product. It beefs up my brow hairs in a way I've never been able to achieve with other brow gels, and ever since getting microbladed earlier this year, it's the only product I've been using to keep my brows in place and add some extra oomph. Without a doubt, this is my ride-or-die numero uno when it comes to Glossier. 2. Stretch Concealer // The brand describes their popular concealer ($22) as "Makeup that let's skin look like... skin!" And you know what? That's totally accurate. The reason I love it so much is that it sits on top of the delicate (read: fine-line prone) under eye area without creasing or accentuating said fine lines, and just looks... natural. There's no other way to put it. Plus a little goes a long way with this stuff, so I'm thinking that 5ml pot is destined to be in my life for a very, very long time. 3. Generation G // I'm a total lipstick junkie, but what I love about the Generation G lip colours is their soft, sheer-matte finish. I've never had a lipstick that's achieved a more deliberately-subtle stain before, and I love that it doesn't dry out my lips. My only beef with this one (forgive me) is that the packaging is super cheap and you don't get much product for the $20 price tag, but I'm willing to overlook that in order to keep slathering 'Crush' (my go-to shade) all over my lips. Bless. Honorable mentions to the Invisible Shield SPF and Priming Moisturizer Rich for having my back skin-wise, as well as the Balm Dot Com for keeping my lips hydrated for aforementioned lipstick application... they can't all be ride-or-dies, but these bad boys come pretty damn close.